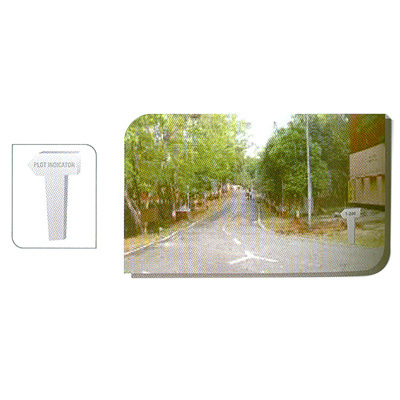 Highly acclaimed as the topmost manufacturer, we are exporting the best stock of RCC Plot Indicator. These plot indicators are wisely reinforced and encased in mild steel strip. These are wisely processed to prevent damage during handling, transportation and erection. Manufactured using supreme grade concrete by vibro- compaction process using moulds, these plot indicators have superior shuttering finish. We even custom design these indicators based on clients' specific requirements.